A key benefit of moving offshore is that you get world-class experience and training in financial services… even if you’ve never done it before. Those who were fortunate enough to do their three-year chartered accountancy or CPA articles in a well-known business centre such as London or New York may already have obtained experience working on financial services clients. However, if like for many others this was not an option while qualifying, it may seem that the chance to work in financial services has now passed you by. Many of the CAs/CPAs we recruit to move to the Caribbean or Bermuda do not have financial services experience when they make the decision to go. This means that you stand a good chance of success if you apply to us – in the sense that not having this expertise (yet) on your CV will not hold you back – provided you can demonstrate that you have solid technical abilities and the drive to continue your professional development in a fresh direction. All the Big Four firms based offshore on the Islands have very extensive training programmes in place for new Audit Seniors, designed to bring professionals from different firms and backgrounds up to speed together. 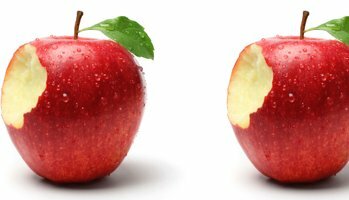 You will have the opportunity to get a second bite of the apple: You’ll receive first-rate training on Funds, Banks and Insurance/Reinsurance clients, as well as gain expertise on international reporting, with a focus on US clients. Positions start either in September or January but we interview and shortlist high-calibre candidates throughout the year. The earlier you apply, the better your chance of securing a place.